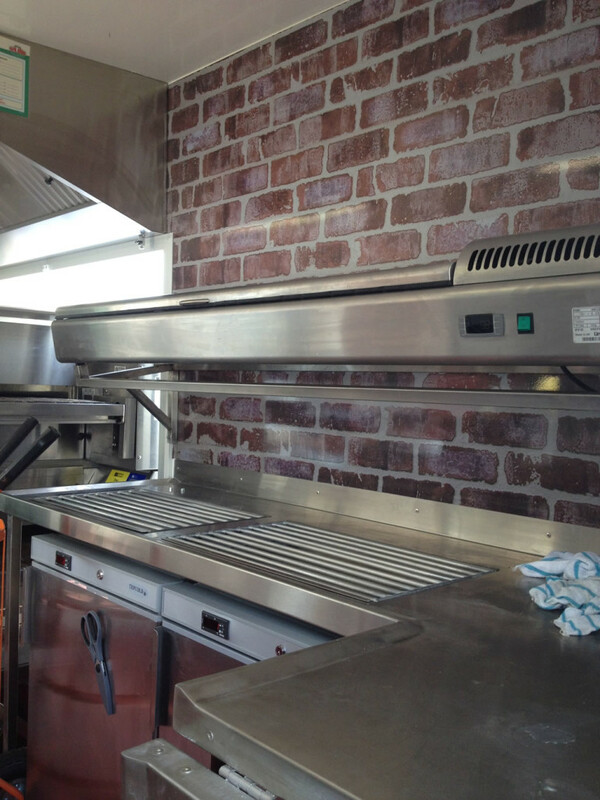 Double Till Point with bespoke chilled draws underneath. 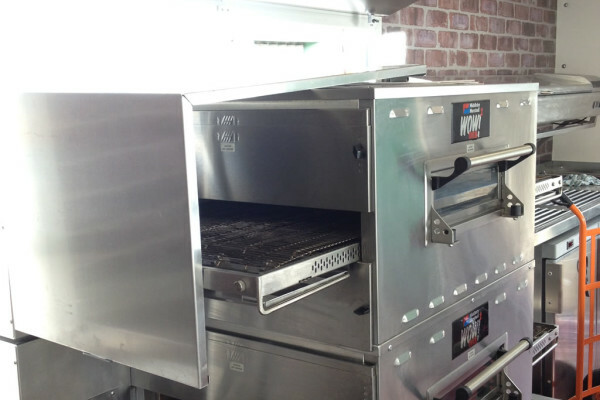 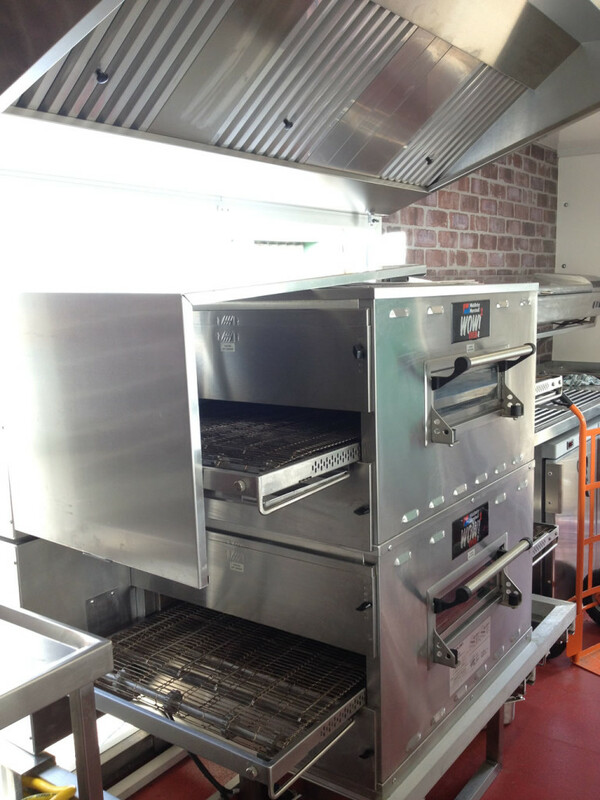 External Website Link to Middleby Marshall, supplyer of the WOW Oven. 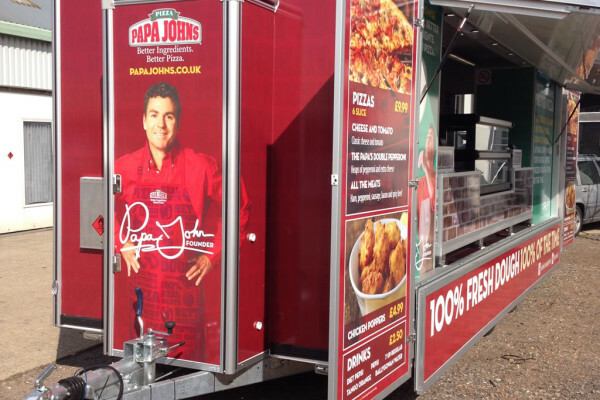 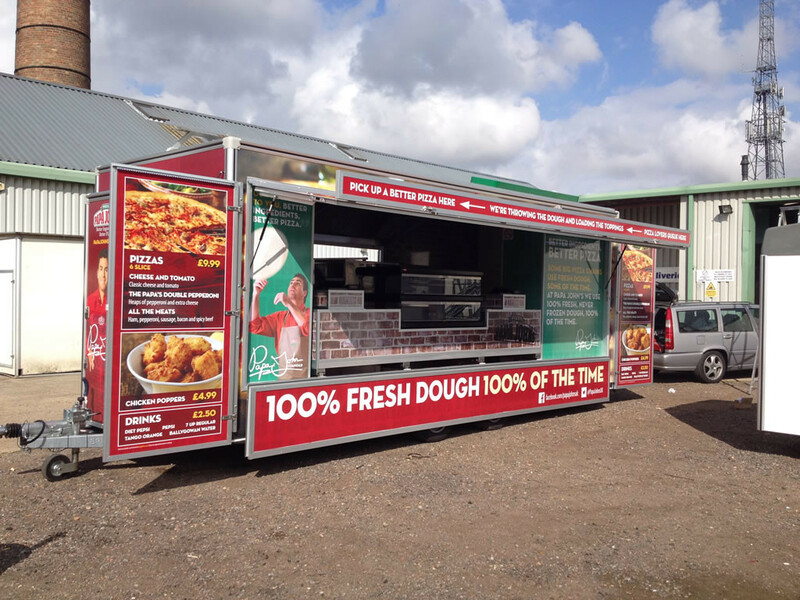 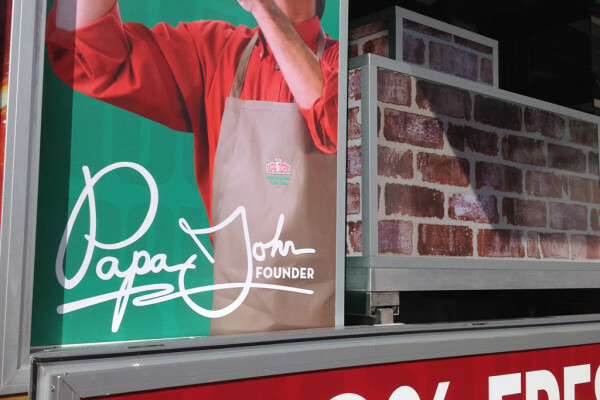 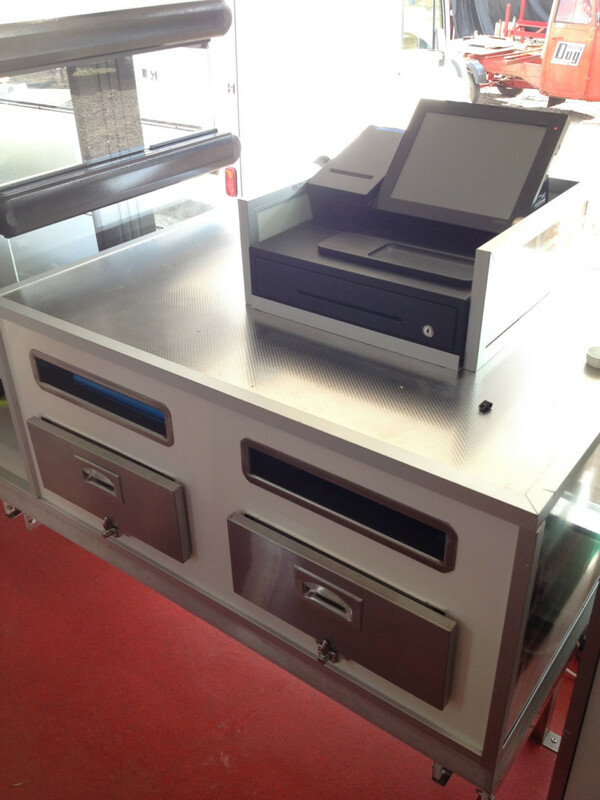 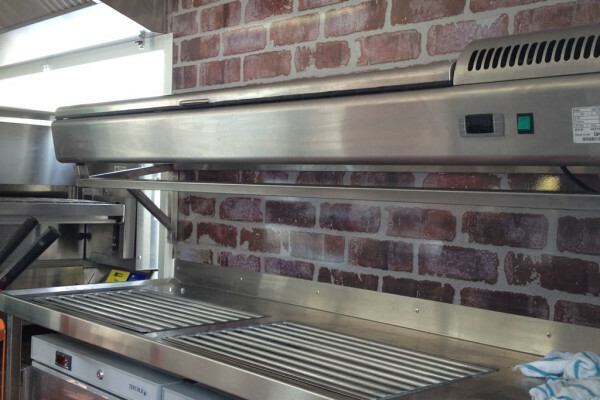 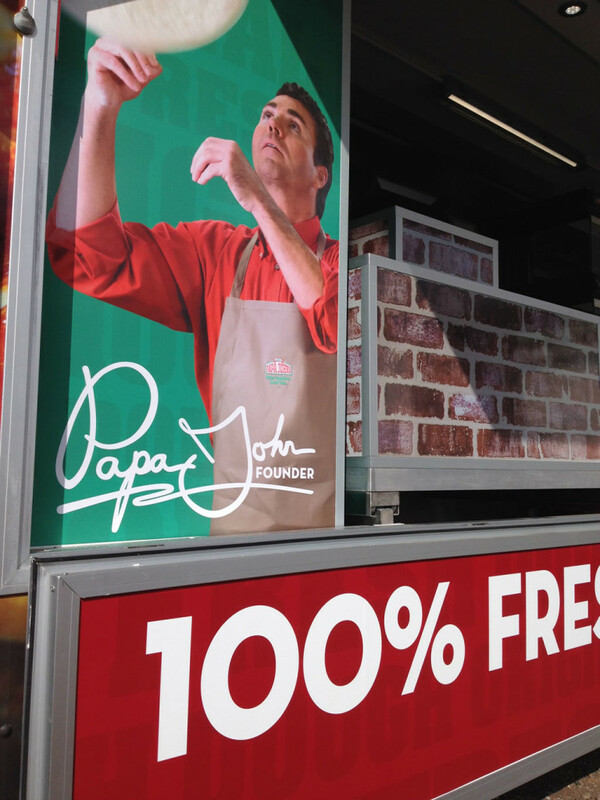 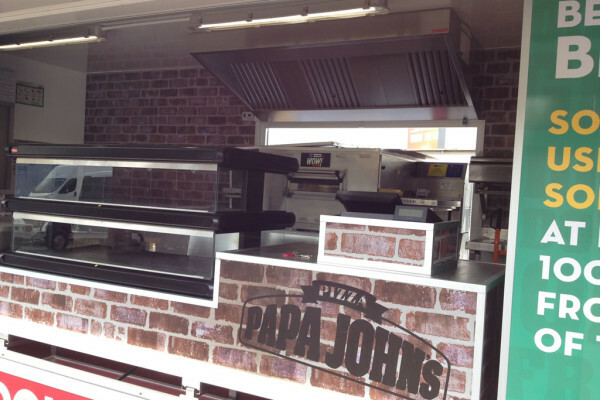 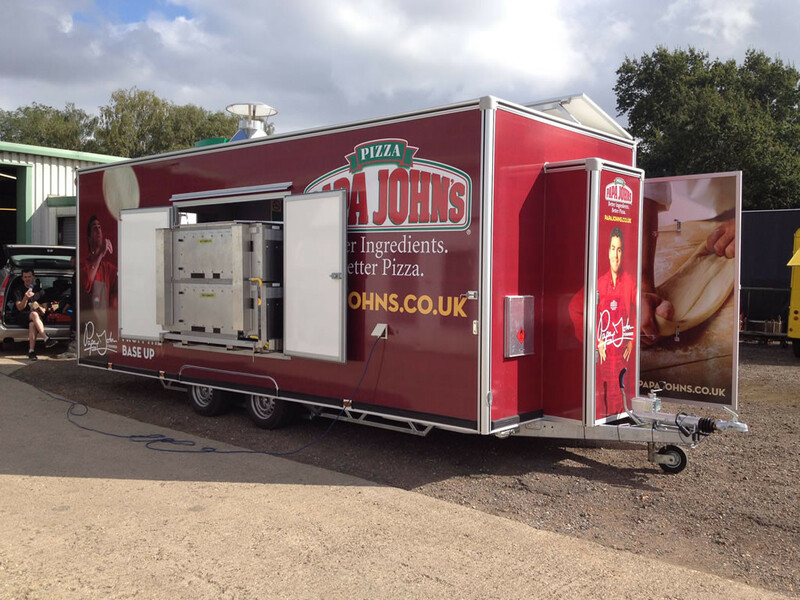 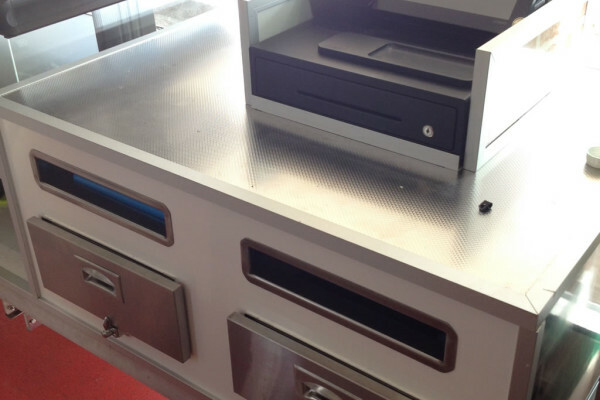 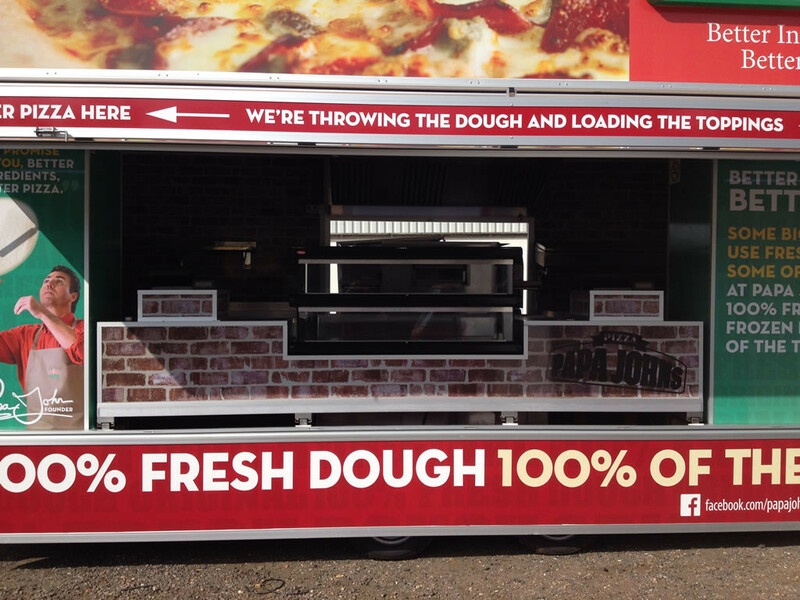 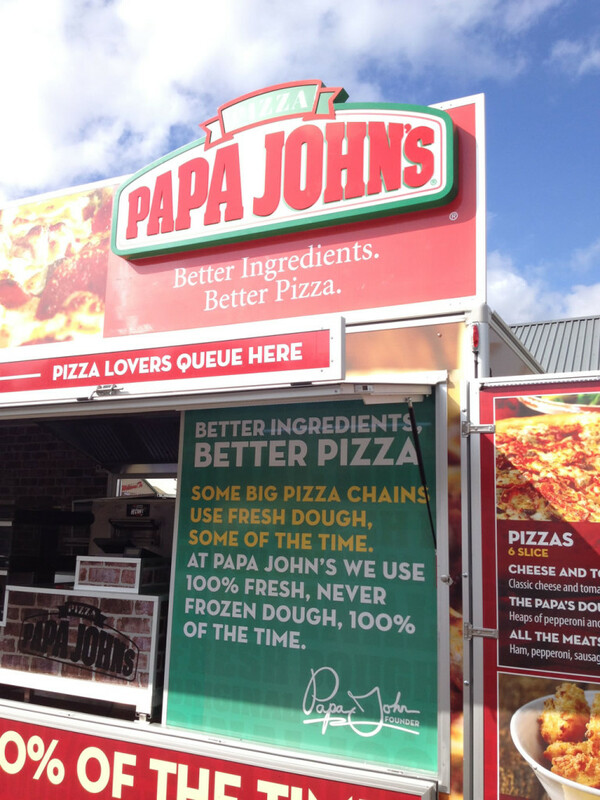 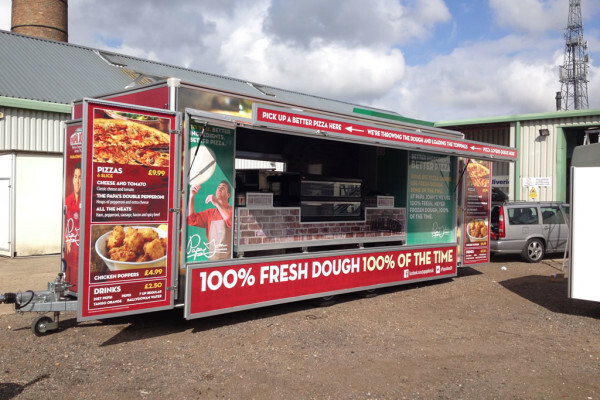 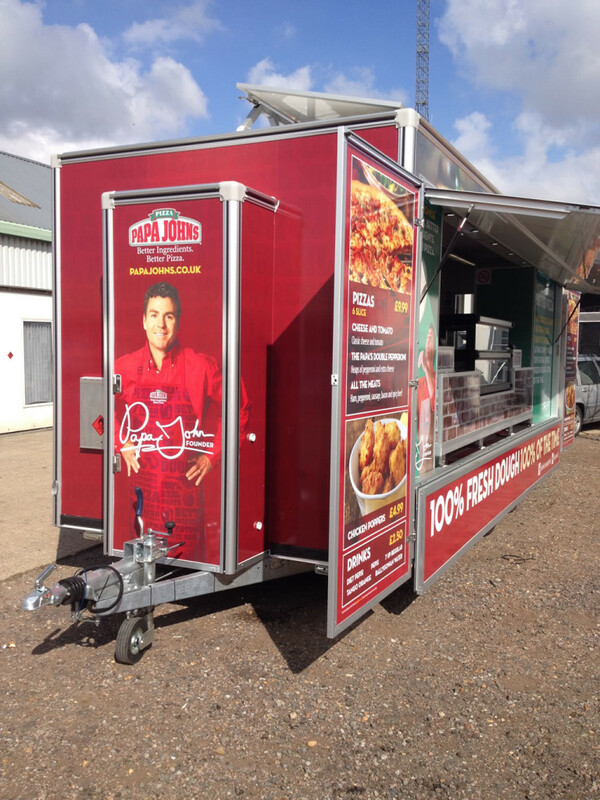 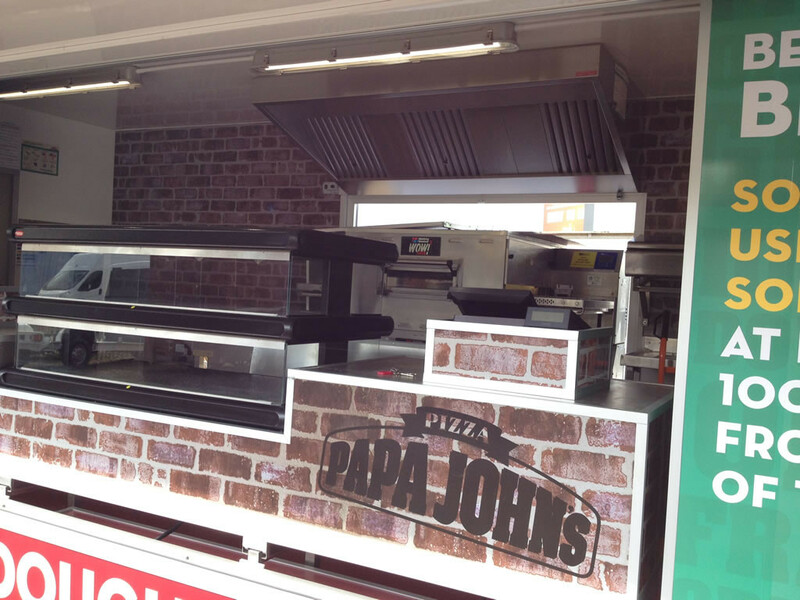 Papa John’s UK approached Towability for a high output mobile catering solution. 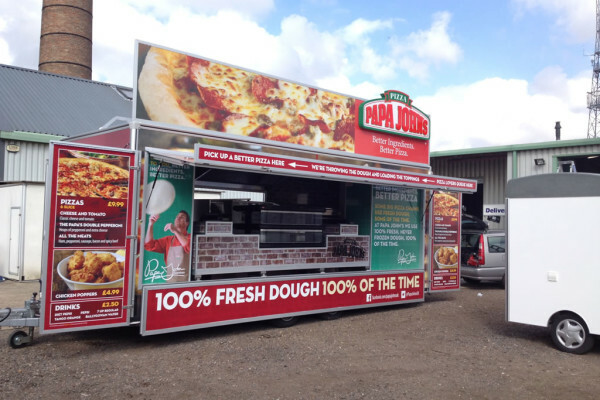 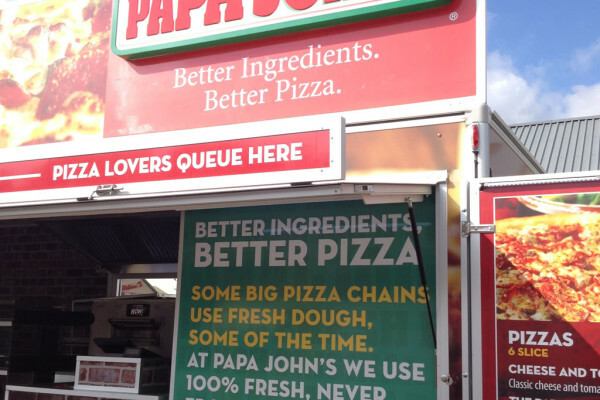 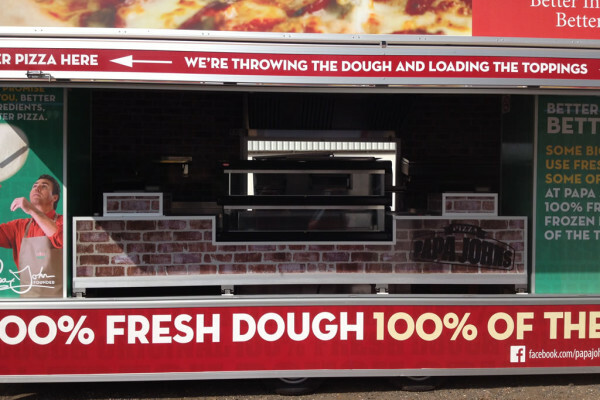 This mobile Pizza Trailer for Papa John’s UK is ready this summer for UK festivals, high foot fall events and locations, across the country. 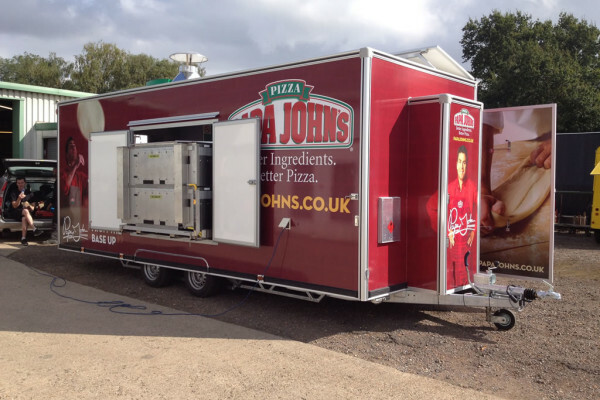 This pizza catering trailer was based on the Towability Supercontinental. 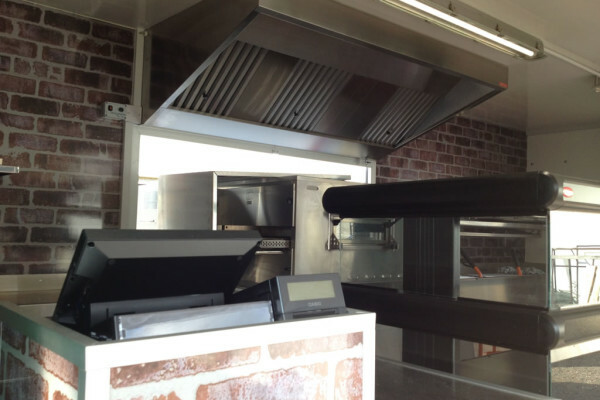 All the catering equipment was supplied and fitted by Towability and our team of fitters, Gas Safe engineers and NIC certified Electricians. 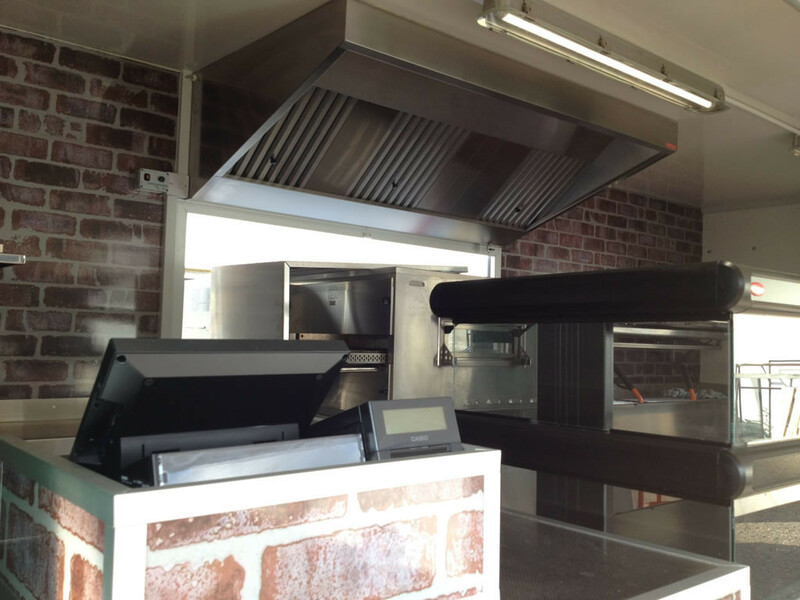 The interior was fitted to a high specification.